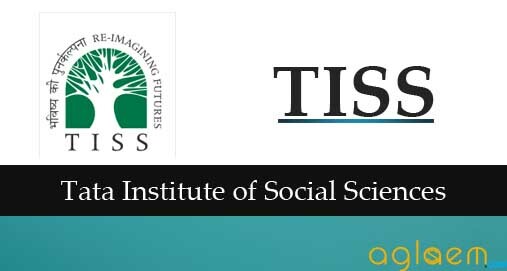 The Tata Institute of Social Sciences (TISS) was established in 1936, as the Sir Dorabji Tata Graduate School of Social Work to meet the emerging need for trained human service professionals. TISS was one of the earliest institutions to be recognised as an institution Deemed to be University in 1964 to further teaching and research in the inter-disciplinary areas of Social Sciences. TISS is a centrally funded public university with the entire plan and non-plan grants provided by the University Grants Commission (UGC), Government of India (GoI) since 1964. 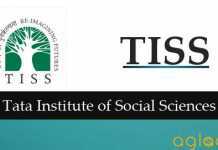 TISS announces admission to B.A. Programmes in Tata Institute of Social Science offered from Tuljapur, Guwahati, Hyderabad campuses. 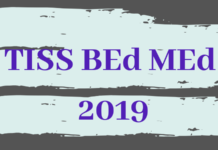 Bachelor Admission Test (TISS-BAT) will be held on 22 Apr 2018. 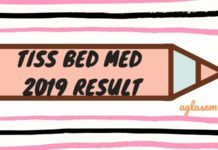 The test consists of Multiple choice questions. TISS announces Admission to the 2018-19 batch for it’s Full-Time (Regular) Post-Graduate Degree Programmes (MA, M.Sc, MHA, MPH) offered from Mumbai, Tuljapur, Guwahati, Hyderabad campuses and other locations. National Entrance Test (TISS-NET) is computer based. It was held on 07 Jan 2018 in 39 centres. The test consists of Multiple choice questions and thus even those with rudimentary knowledge of working with computers or cell phones can do the test. TISS announces Admission to the 2018-19 batch for it’s Integrated M.Phil-Ph.D. and ‘Direct’ Ph.D. Programmes (academic year 2018-2019) with the various Schools and Independent Centres of the Institute across TISS Mumbai, Tuljapur and Guwahati Campuses. UGC JRF qualified candidates, post graduates, students in the final year post graduation in Social Sciences and allied fields and individuals with M.Phil and / or industrial, academic and field based experience in Social Sciences, Social Work, Disaster Management, Development Studies and allied fields can apply. Click Here for Post Graduate Diploma in Inclusive Education (PGDIE) details and application.